6 Decades Books is now open in downtown San Francisco, sharing space with 871 Fine Arts, an art bookstore and exhibition space that is an enduring institution of the Bay Area art world. We are located in downtown San Francisco at 20 Hawthorne Street, on the lower level of the Crown Point Press building, just around the corner from SF MoMA, the Yerba Buena Center for the Arts, and other museums and galleries in the cultural hub of city. Unpacking my Library, now on view through the end of the month, is our inaugural exhibition at the new space. 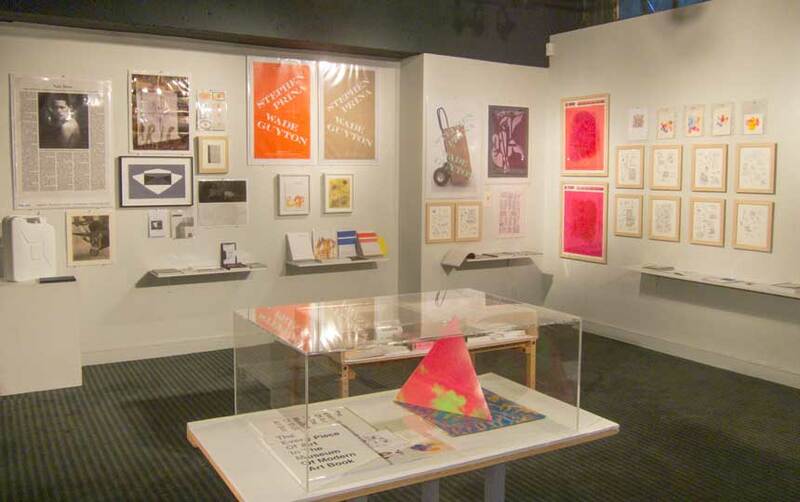 The exhibition is focused on artists’ books, posters, multiples, printed ephemera, and other democratic forms of art, including work by Tauba Auerbach, Shannon Ebner, Wade Guyton, Jenny Holzer, Martin Kippenberger, Adam McEwen, Ryan McGinness, Jason Polan, Seth Price, Josh Smith, Christopher Wool, and others. These artists share a multidisciplinary approach to art and they have all made the production of books, multiples, and other easily disseminated art forms a significant part of their practice. The exhibition’s title reflects the long and laborious process of packing and unpacking books that went into the relocating the bookstore from one coast to another, but also makes reference to an influential essay by critic and philosopher Walter Benjamin in which he describes moving his own collection of books and finds the mundane task of hauling bulky objects profoundly at odds with the meanings that become inseparably attached to books, to the point that they may inspire within collectors a sense of mysterious “enchantment.” Taking this as a point of departure, the exhibition considers printing and distribution—the mundane processes of mass production and mass media, which contemporary artists have nonetheless put to use and infuse with meaning in the process of creating new and widely accessible forms of art. Exhibition List.